A funny, delightful romp through dragon lore. 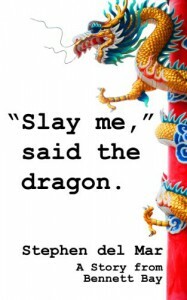 A coming of age dragon slayer falls for a 400-year-old stone dragon in his human form. The only thing in their way, besides a terrifying ancient sky dragon, is each other. Highly recommended.